Last week was a difficult one with the loss of both David Bowie and Alan Rickman. The death of Bowie is of particular significance to my town. 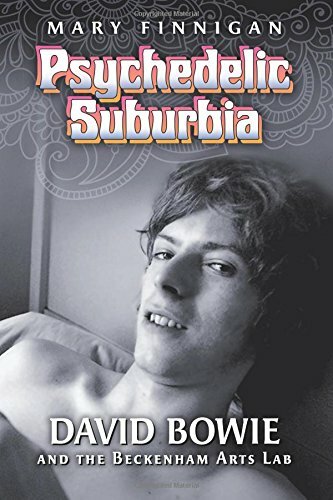 I'd long been aware of the rock star's connection to Beckenham and with the news of his death and the fact I had access to this book for free through my trial of Kindle Unlimited, I decided to give it a go. 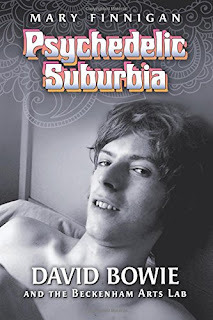 This is a short memoir by Mary Finnigan which tells the story of the summer of 1969 when she met a 22 year old Bowie by chance when she heard him singing in the flat above her. Before she knew it, she'd offered him a room in the flat she shared with her two children. The story of how he seduced her gives an insight into the flagrant charm of this young man. As she explains, she didn't realise until later that he was also seeing Angie (his first wife, who later moved in with them) and a number of other men and women. In the first few months of their relationship, the pair started a music night at a local pub which gathered momentum and became the Beckenham Arts Lab. As this developed, the town became home to street theatre and drew a multitude of artists to the area. The endeavour culminated in the Beckenham Free Festival at which David performed just before he hit the big time. The book provides an interesting insight into local history and the young David Bowie (albeit through one woman's eyes). It is fascinating to see how the energy of a few people created a 'scene' in a suburban town and a reminder that the 60s may have been THE decade to be young. Indeed, as Mary recounts the rekindling of the Free Festival in 2013, she explains that costs for permits and bureaucratic requirements meant the festival could no longer be free. Unfortunately, the book has a number of problems, not least of which is the poor editing and presentation. The memoir itself is not terribly well written and the kindle edition is woefully presented with images failing to display correctly and masking text.